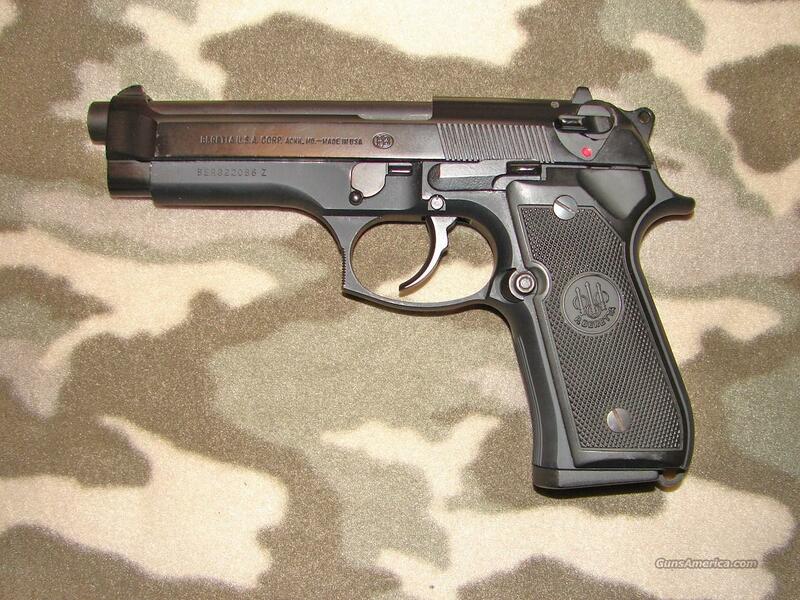 Description: Beretta Model 92FS Semi-Auto Pistol serial #BER322086Z, 9 mm, 4 7/8” barrel with an excellent bore. The metal surfaces retain 98% original blue finish with light wear from handling and storage as well as light nicks on both sides of the frame’s dust cover. The original black checkered synthetic grips rate excellent. Equipped with three dot fixed sights, the pistol is in excellent condition overall. Includes original box, papers and one 15 round magazine.